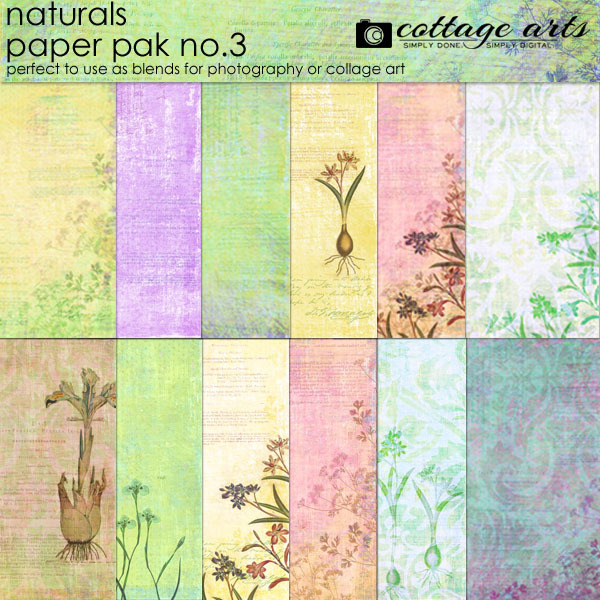 Especially for paper lovers, our Naturals 3 Paper Pak contains 12 - 12x12 artistic botanical collage papers. Beautiful botanical patterns, vintage script, and gentle textures grace these gorgeous papers. 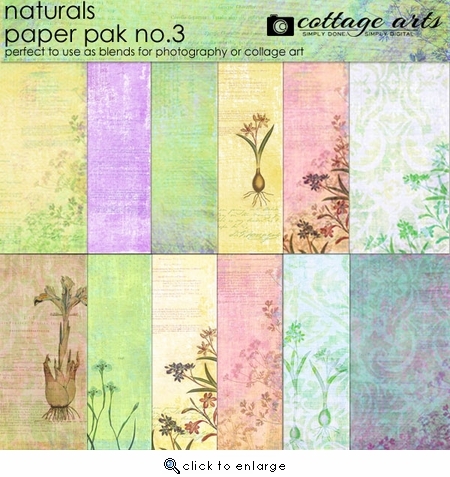 Perfect for paper crafters, as well as digital artists, these papers have endless uses. Change their colors to your heart's content. Perfect for using as textured blends on photos or in collage art using various blend modes.